Indeed. Many people, scientists, and non-scientists alike have been calling for a new mission to Europa. 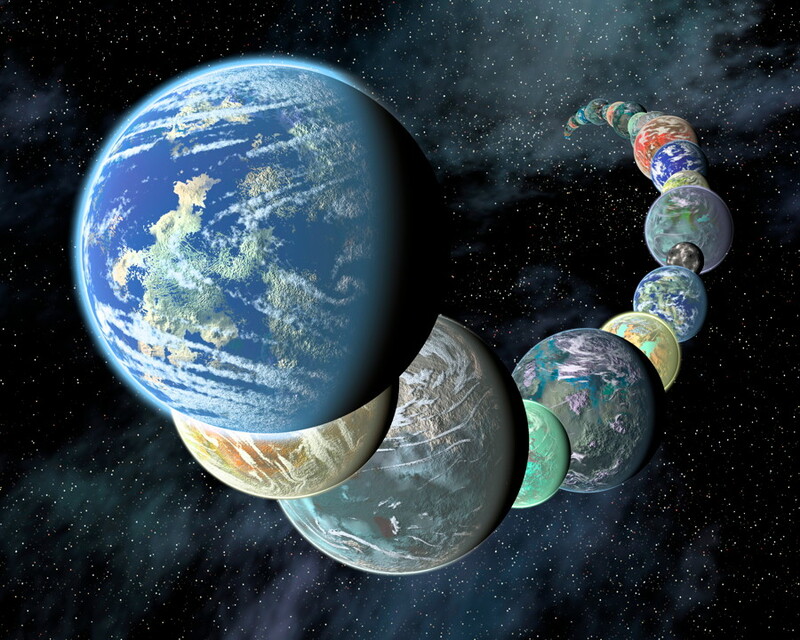 Now that NASA itself is willing to do it, the question is how to search for evidence of life. Ambitious ideas have included landers and eventually a probe that could penetrate the ice shell covering the ocean and enter the water itself. Such technically advanced missions are still quite a ways off, but in the meantime the idea of an orbiter gained ground, or at least a probe which could make repeated flybys of the moon. Along this line of thought, the Europa Clipper concept was born. Due to the very high radiation in this region around Europa and Jupiter, the probe wouldn’t remain in orbit, but rather make repeated close flybys of Europa. Clipper would study Europa’s surface and interior to better understand the geological structure of the moon and the composition of the ocean. It would be difficult to search for life itself this way, but much could be learned about the potential habitability of Europa, similar to how the current Mars rovers are focusing on determining past habitability rather than looking for life itself. While that would be exciting in its own right, the big question is still whether Europa could be hosting life of some kind now. Europa is a long way away, much farther than Mars, so it would seem expedient that if you are going to go all the way back there again, then at least some kind of life-search capabilities should be included in the design of the probe. 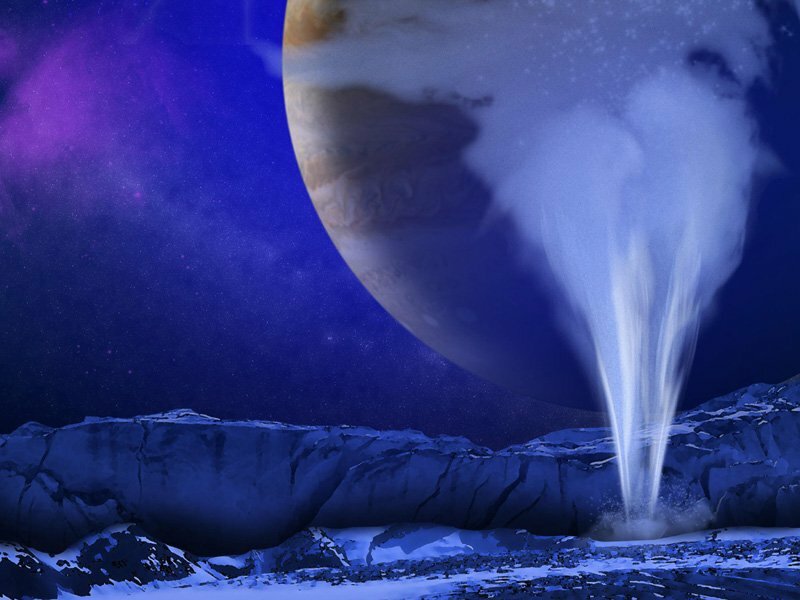 A discovery made in 2013 by the Hubble Space Telescope may make it easier for scientists to do just that: huge plumes of water vapor were reported coming from Europa’s surface. 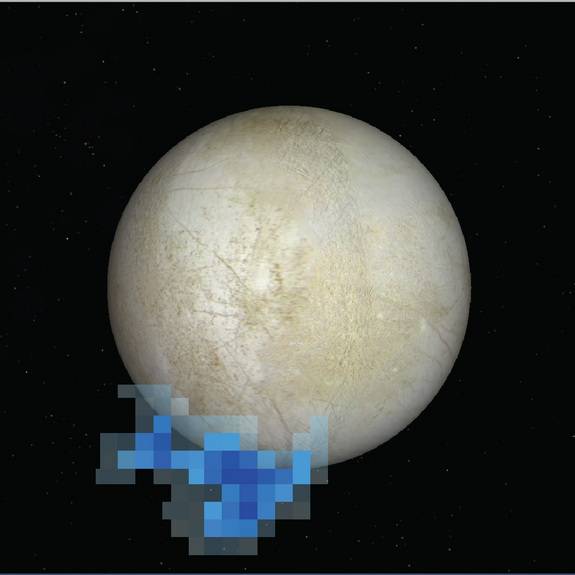 Was Europa venting its water similar to how Saturn’s moon Enceladus does? If so, then a probe could fly through them and sample them, just like the Cassini spacecraft has already done with Enceladus’ water vapor geysers. That would be a much easier way to analyze what is in the water coming up to the surface from below. Indeed, Cassini’s analysis of Enceladus’ plumes has already found water vapor, ice particles, salts, and organics. Cassini isn’t equipped, however, to detect life itself, such as bacteria. 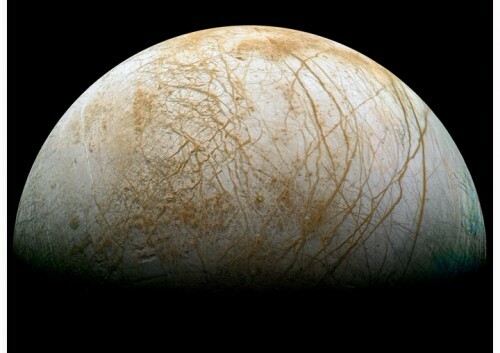 The only problem with this is that since then, Europa’s plumes haven’t been seen again. This suggests that they may be sporadic or perhaps not even really there after all. 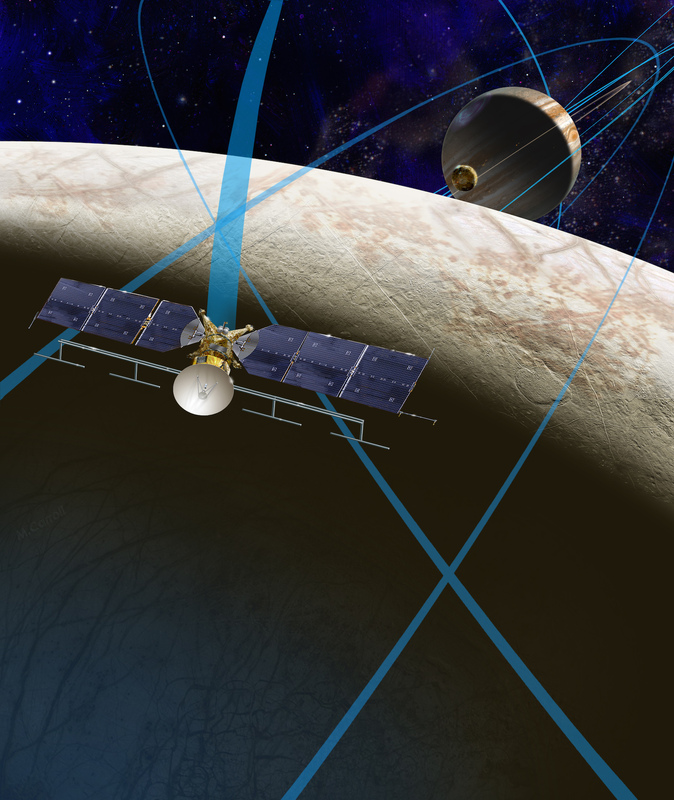 But if they are and can be confirmed, they would provide an ideal way for a probe such as Europa Clipper to look for traces of life without having to land or bore through the ice. Mass spectrometry could be used to look for complex chemicals which might indicate life processes. Even if living cells such as bacteria died while being injected into space, they could still be identified. “Death is just another form of life,” as planetary scientist Chris McKay noted. Even antibodies might be useful, as they could be attached to a chip, grabbing any organic particles for analysis by other instruments on the spacecraft, McKay suggested. So what else could be done if the plumes are not seen again? One idea, from Charles Hibbitts of Johns Hopkins University in Baltimore, Md., is to punch into the surface ice. A precision projectile would be shot into the ice from a probe, similar to how the Deep Impact mission sent a small projectile smashing into the surface of a comet in 2005. Material in the resulting plume could then be collected and analyzed by the probe. Since the surface ice crust is thought to be several miles thick in most places, the projectile wouldn’t hit the ocean itself, but could still allow scientists the ability to examine the composition of the ice itself. There are, however, also thought to be smaller lakes of water within the ice crust, closer to the surface. If such a spot could be found, a projectile could be aimed there, offering perhaps a better chance of finding material from, or at least closer to, a body of liquid water. Tiny satellites like cubesats are another possibility, as suggested by David Mauro of NASA Ames. Two small satellites, together called Europa Plume Chaser, would be sent to Jupiter with cameras and miniaturized instruments. One probe would search for plumes, while the other would actually fly through them and analyze them. Such a mission might be more cost effective, if the plumes can be verified.